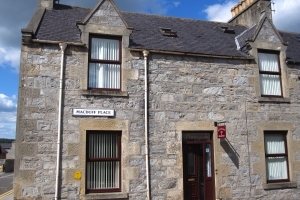 Conval House is in a quiet location just minutes from the centre of Dufftown. We offer 2 King Rooms and 1 Twin Room. All rooms are comfortable, light and spacious. A family run home where a warm welcome awaits. One twin en suite, one double en suite and one twin with shower. 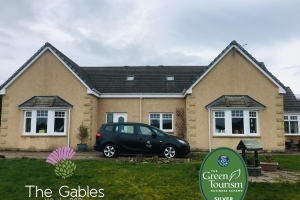 Gowanbrae B&B is in a central location in Dufftown and offers 3 well-appointed ensuite bedrooms in a delightful Victorian House. Highland Spirit is a 4-star GOLD characterful bed and breakfast. Quiet location 2 mins walk from the village centre. Karen and Alistair will give you a warm Scottish welcome. 3 Double Rooms, 1 Twin Room Quality accommodation in a secluded setting with views over the River Spey and across to Ben Rinnes. Situated in a picturesque spot, offering luxurious accommodation. 2 double bedrooms that can be made as twins. Traditional stone built house overlooking the Dullan River, beautiful, quiet setting just a short walk from town centre. 2 Double Bedrooms & 1 Single Bedroom. 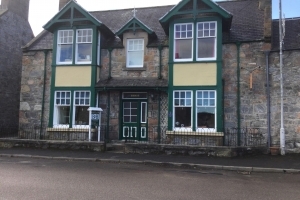 Situated in Aberlour(Dufftown 5m)- 2 Houses offering flexible adjoining accommodation for up to 8 people. From SINGLE ROOM RATES TO WHOLE HOUSE PLEASE ENQUIRE. Situated in the centre of Dufftown, Morven is the ideal accommodation to visit Speyside and its distilleries. We offer 2 en-suite double or twin rooms and a warm welcome. 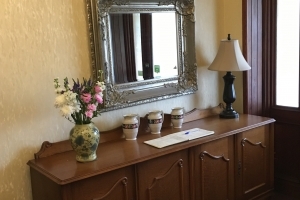 At Dunvegan B&B in the centre of Dufftown, you are sure of a warm welcome and first class comfort and hospitality. Situated in the heart of the Malt Whisky trail, Craigellachie sits proudly on the banks of the River Spey. We have 1 twin and 1 family room. 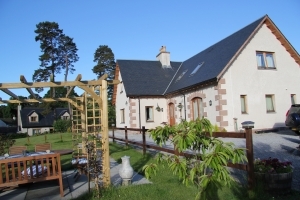 Set in a tranquil location within walking distance of Glenfiddich & Balvenie distilleries. We offer 3 double rooms two of which can be twin rooms, spacious and comfortable. 5 luxury rooms each named after local distilleries and en-suite. A roll top bath enhances The Glenlivet Room, and all enjoy spectacular views over the River Spey. Two rooms with private sitting room and bathrooms in a quiet part of the village yet within easy walking distance of the centre. Anne Jan & Siebette look forward to welcoming guests into their luxury Bed & Breakfast which is set in a stunning location amidst the rolling hills of Glenrinnes. A very warm welcome awaits you in this characterful Victorian villa, where we strive to make your stay as comfortable as possible. The closest B&B to Glenfiddich & Balvenie. En-suite rooms with superior facilities. A warm welcome awaits you in our comfortable & quiet home. 5 minutes walk to the Tower. 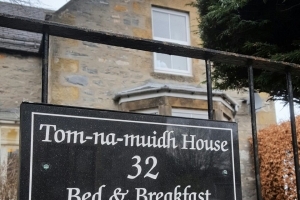 CONVAL VIEW BED & BREAKFAST Just 2 mls from Aberlour & only 4 mls from Dufftown. Superb location & views over Conval Hills. Modern,warm & very comfortable accommodation.